We may have mentioned this once or twice, but here at UnCOVered… we like food. Therefore, we go out of our way to check out where you can get the best street food from in the West Midlands. 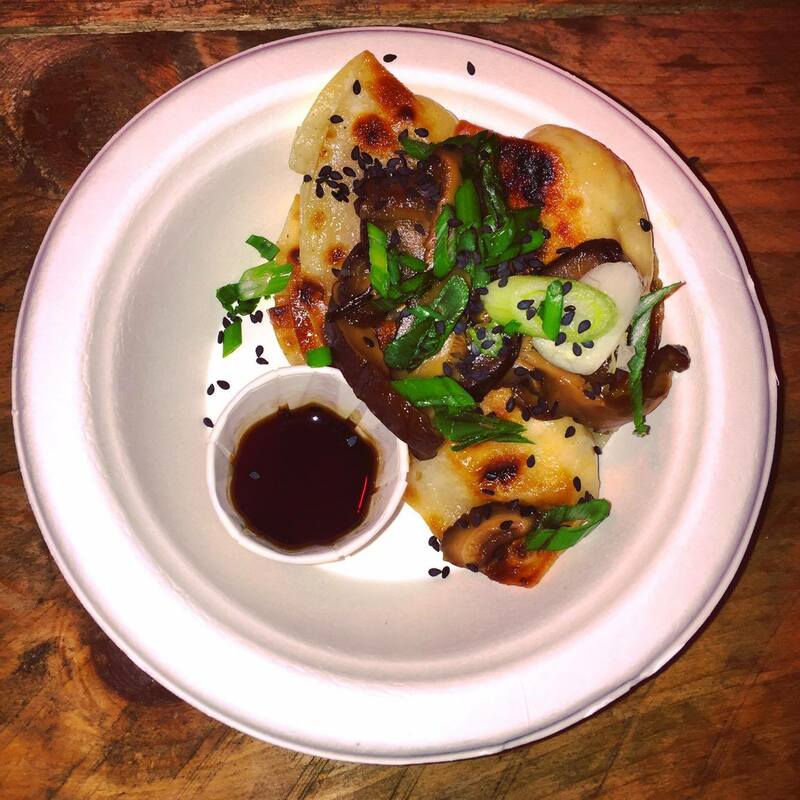 You may remember reading our Digbeth Dining Club review a few weeks ago? 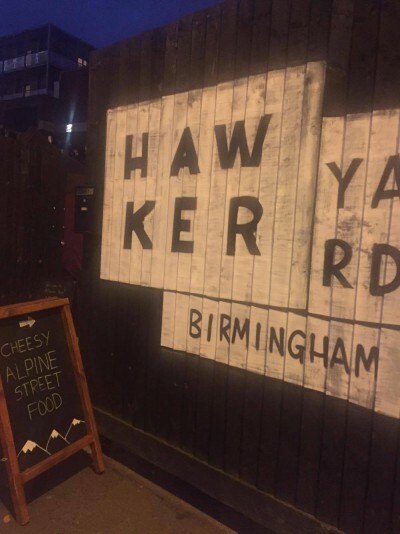 Well this time, we’ve checked out one of its competitors… Hawker Yard. Hawker Yard is also situated in Birmingham City Centre, just near China Town. It’s open Thursday, Friday and Saturday from 12pm and each week hosts a range of interesting and delicious street food vendors that set up shop in shipping containers. I’ve now been there twice (to make sure I could write this blog for you of course) and both times, there’ve been new things to try, a different bar set up from a local brewery and a DJ container playing Motown classics. This is one of my favourite street food dishes, so any opportunity to munch on these, I’ll take it. As I’m a veggie, I had their tofu option and the meat eater I was with had the pork. We both agreed that they were very tasty, especially with the added pickles, mushrooms and soy sauce. 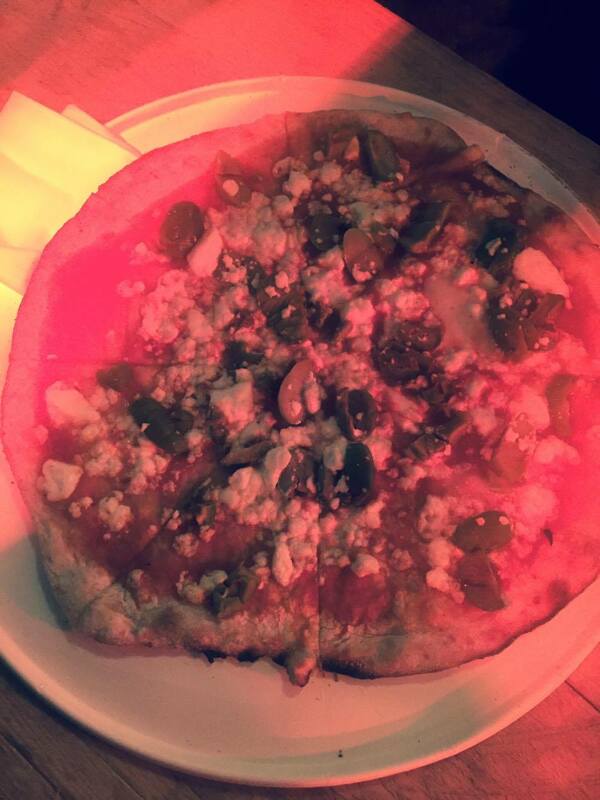 A great dish for a starter (we were hungry) so scored 4 noms out of 5.
Who doesn’t love a good pizza? If I could, I would probably eat pizza every day, so seeing Pizza Traders there made me extremely happy! 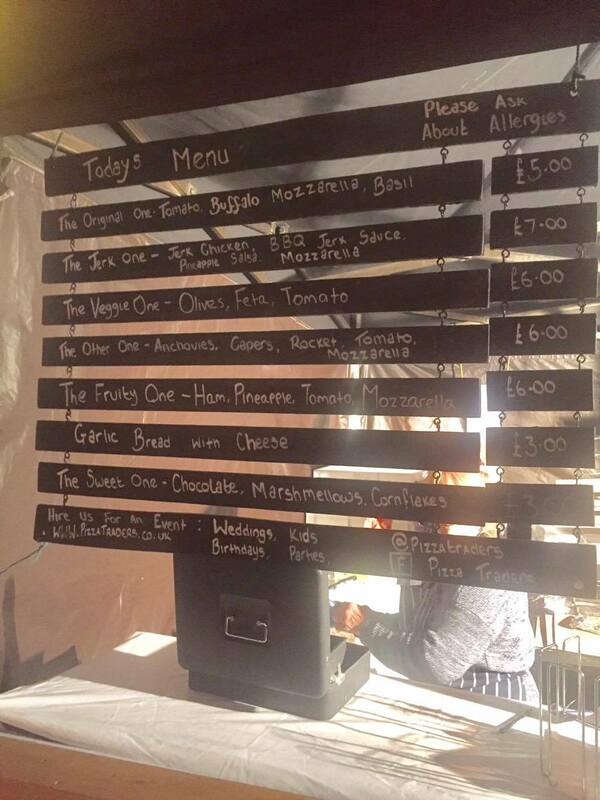 We went for ‘The Veggie One’ which was a simple partnering of olives, feta and tomato. For saying it wasn’t jam-packed with toppings, it was super tasty and had just the right amount of everything on for me! I haven’t had many pizzas with feta on before and it worked really well. It ticked every box so gets a full 5 noms out of 5! For all those people who pull faces whenever the word ‘vegan’ is mentioned, and for those who don’t understand what vegans can and do eat… You should all give this place a go if you ever see their food truck around. 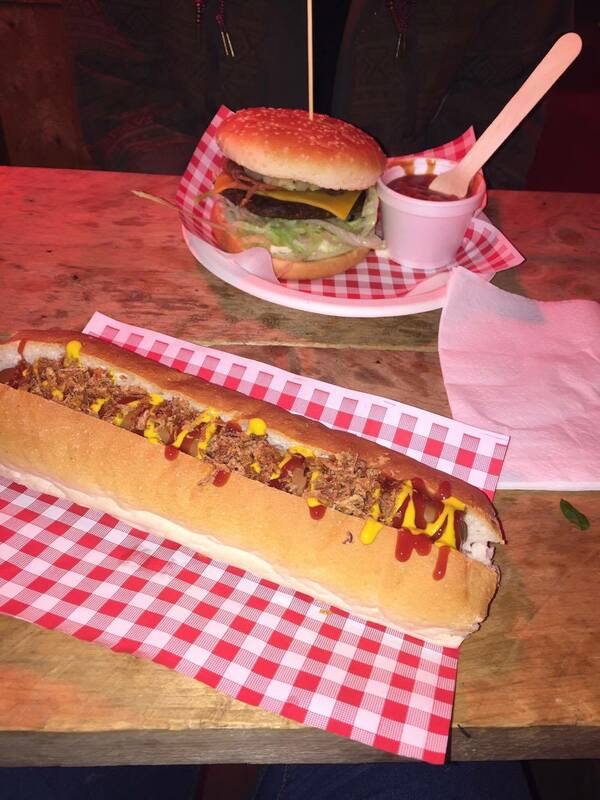 Me and the meat-eater shared a burger and a hot dog from the Vegan Grindhouse and they were both very tasty! Even the meat-eater said she wouldn’t really know it was vegan and would happily eat it again. Both dishes were packed with flavour, and they have other great options on the menu so I give it 4 noms out of 5. If you’ve never had raclette before, or seen it being grilled and scraped on to a plate, stop what you’re doing and look below. Cheesy heaven right? I’ve had dishes similar to this at festivals before and it’s always very, very good. I’d also heard great reviews about the Raclette Brothers, so couldn’t really not give it a go, and just look at it… How could you not want to eat that? The cheese is fairly rich but so tasty, served over a bed of potatoes, slaw and salad (healthy stuff hidden under cheese counts right?) it was missing gherkins for some reason, which I find help cut through the creamy cheese. They may have ran out so I will let them off. It’s simple, it’s cheesy, it’s incredibly naughty, so obviously gets 5 noms out of 5! As I mentioned before, these dishes were all tried over two separate trips to Hawker Yard, just incase you were thinking I’d eaten all of the above and then also smashed a dessert. 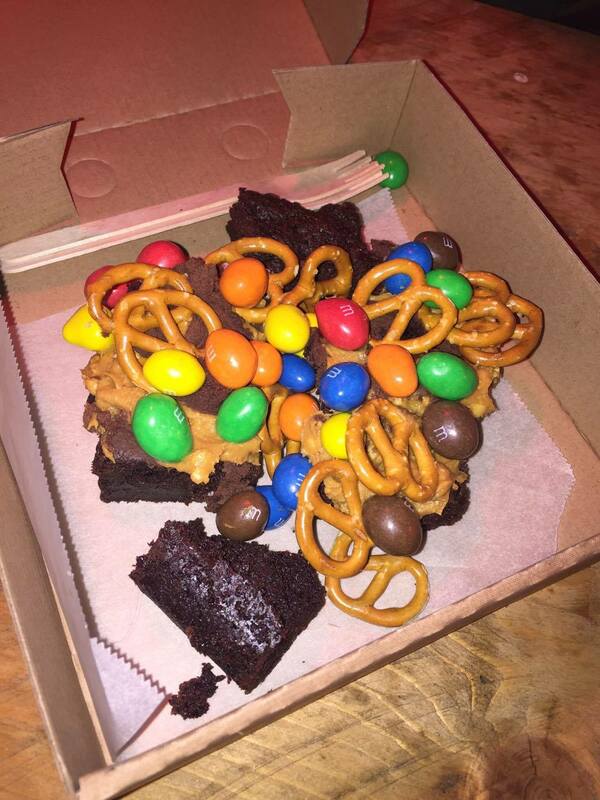 On the second trip, Glaze were there with their menu of loaded brownies! Feeling like I couldn’t handle anything too sweet, I went for the peanut butter and salted pretzel option with peanut M&M’s! It was a very tasty brownie and, as I couldn’t handle it all in one go, it lasted well until a couple of days later when I was able to finish it off! I haven’t got the biggest sweet tooth so this gets a 4 out of 5 noms. 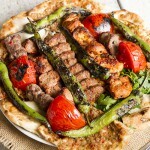 Has this got you salivating and hungry? 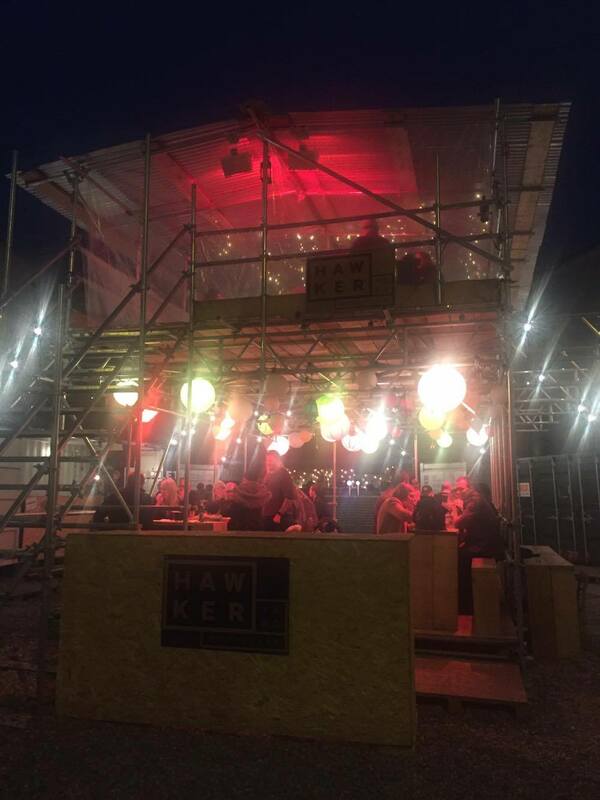 Hawker Yard regularly change their line up, so keep an eye on their Facebook page for regular updates. If you’re looking for an affordable evening out with friends and fancy trying some new food, it’s perfect for you! It’s also a fantastic way to support local and independent businesses. Let us know if you’ve been to any feasts recently either in the comments below or via social media. ← Graduation #FAILS… And Top Tips On How To Avoid!